Off Your Annual Property Taxes? Our office will accept exemption applications for the 2020 Tax Year until March 1, 2020. Applications submitted from March 2, 2019 through March 1, 2020 will be for the 2020 Tax Year. We have documentation requirements for an exemption: Homestead Exemption Application Statutory Requirements. For your convenience we also offer 3 easy ways to file for the exemption: apply in person, apply by mail or online. What Is The History Of The Homestead Exemption? The Great Depression began in 1929. As the Depression deepened, many Florida property owners found themselves unable to pay their property taxes and in serious danger of losing their homes. 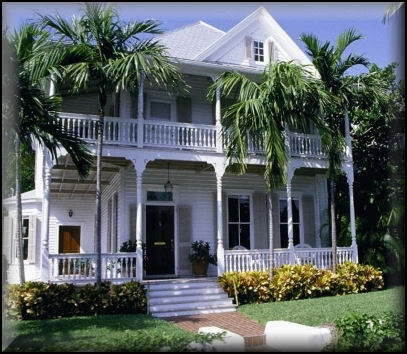 In response to this serious problem, State Representative Dwight Rogers of Fort Lauderdale in 1933 proposed and successfully passed legislation to place the $5,000 Homestead Exemption Amendment on the state ballot. Floridas' voters overwhelmingly approved the Homestead Exemption Amendment in 1934 (Article X, Section 7, as it was numbered before the 1968 Florida Constitutional re-write). The initial Homestead Exemption sought to ease the burden on homeowners by exempting property taxes on the first $5,000 of a homeowner's residence. The exemption was increased by the Florida Legislature by statute to $10,000 during the 1960s, although this was not incorporated into the constitution. By Constitutional amendment adopted by a landslide in 1980, it was further increased to $25,000. Save Hundreds of $$Dollars$$! Apply By March 1, 2020 for Your Exemptions. The Property Appraiser’s Office is taking Homestead and Low Income Senior (for persons age 65 and older who meet specific financial criteria) applications. Don’t wait until the last minute to qualify for these valuable tax benefits. * Residents who bought a home in Hernando County during 2019 are reminded that applications for Homestead Exemption must be submitted to the Property Appraiser’s Office by March 1. * To qualify for the Homestead Exemption and the accompanying “Save Our Homes” Assessment Cap, the home must be the primary and permanent residence. * If you have moved into the County and had a previous Homestead or are transferring from one home to another, you may qualify for Portability. 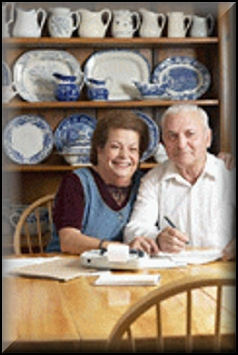 * Seniors (at least one owner must be age 65 or older prior to January 1) with a Total Household Adjusted Gross Income that does not exceed $30,174 who did not apply for the Low Income Senior Exemption last year, must submit an application by March 1. * If you received the Low Income Senior Exemption for 2019, you do not need to file an application for 2020, this exemption automatically renews. * An important reminder: If you have a Homestead property in Hernando County and have requested your mail be forwarded to a different address temporarily (i.e., vacation, visiting family, medical issue, employment, military deployment, etc. ), you must notify the Post Office when you return. The 2019 Florida Property Tax Valuation and Income Limitation Rates are set by The Department of Revenue! The Florida Department of Revenue calculates annually the new Save Our Homes Annual Increase, Total and Permanent Disability Income Limitations, Cost of Living Adjustments, and the Total Adjusted Gross Income Limitation for the Low Income Senior Exemption. Please click here to see the 2019 rates. Homestead and other Exemption renewal receipt cards which include Low Income Senior renewal cards are no longer mailed annually. The Exemptions will automatically be renewed. If you no longer qualify for your Exemption(s), please contact one of our offices. You are no longer eligible for an Exemption if the home is not being used as your permanent and primary residence on January 1 of the tax year. Please review the Qualification Requirements to be sure you still meet those requirements. Important Reminder To All Homestead Property Owners in Hernando County Who Have Their Mail Forwarded Temporarily. If you have a Homestead Property in Hernando County and you plan to notify the United States Postal Service (USPS) of a Temporary change of address (e.g., vacation, visiting family, medical issue, employment, military deployment, etc. ), you MUST notify the USPS when you return. Don't Miss This Tax Discount if You are a Disabled Veteran! This exemption is available to any honorably discharged Veteran who is at least 65 years old and is deemed to be totally and permanently disabled to a degree of 10% or more. All or a portion of such disability must have been combat related. Veterans who qualify may receive a percentage discount on Homestead property taxes equal to the percentage of the Veteran's permanent service connected disability as determined by the Department of Veteran’s Affairs at 1-800-827- 1000.